Okay guys! Here are some NYX lip liners! I bought three, got one as a free sample and then I already had two other shades. I really like these. They are pretty basic lip liners, great colors though and they are all pretty pigmented. They can be a little drying though, but if you put anything on top it fixes that instantly because most other lip products are in nature, moisturizing. So the first one I have to show was sent with my package as a free sample. It's called Nectar and it is a warm coppery orangy with golden sheen. The first lip swatch is it by itself and the second is with NYX lip gloss in Baby Roses on top. This one is called Orange. It is a vibrat red-orange. Very gorgeous! I love it! The bottom swatch is with Sugar Pie lip gloss on top! Purple Rain - a nice cool toned fuchsia, not quite purpley enough for me, but still very gorgeous! 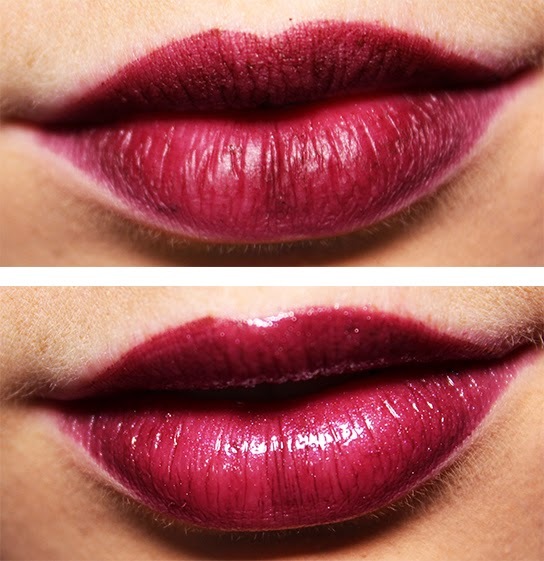 Baby Rose lip gloss on top for the bottom swatch. Dolly Pink - a very light matte pink with white undertones. Very pastel, can sometimes make me look pastey but very gorgeous if you have the right skin tone to pull it off. 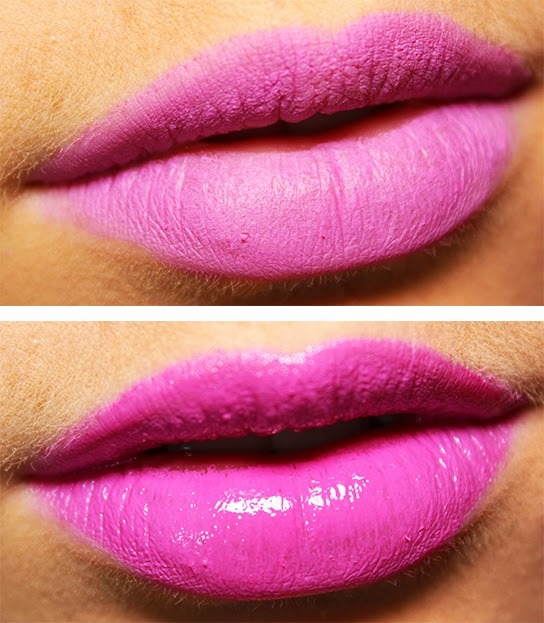 Dolly Pink lip gloss on top on the bottom swatch. Currant - This one if by far the most used lipliner I have. I use it under a lot of red lipsticks and under purple and black lipsticks. It's the perfect shade for that Mod Goth look or for anything Halloween! Bottom swatch is with Baby Rose lip gloss on top. 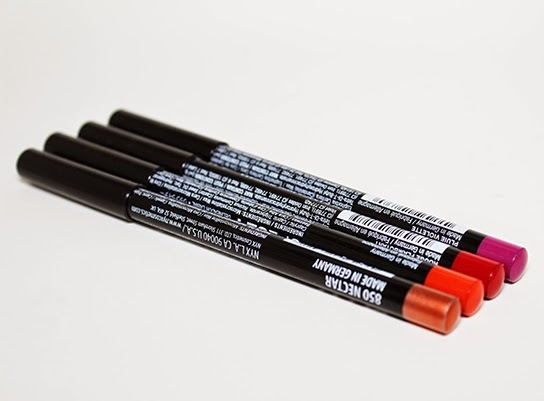 What do you think of NYX Lip liners? What are you favorite shades?